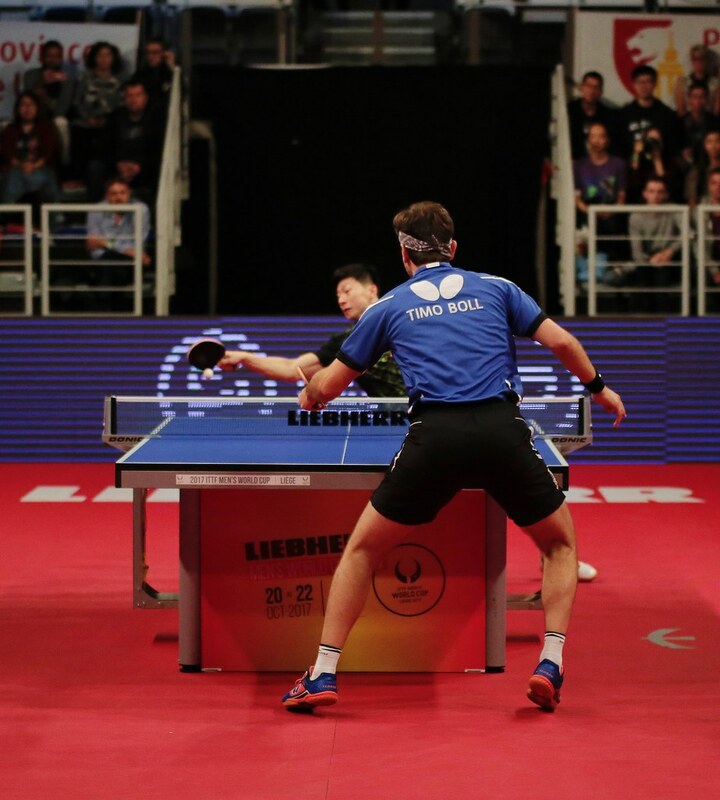 Absent one year ago in the German city of Saarbrücken, following a disappointing Nakheel 2016 Asian Cup in Dubai, Chinese Taipei’s Chuang Chih-Yuan returns to Men’s World Cup action. Listed at no.15 on the current World Rankings, he is the no.8 seed at the forthcoming Liebherr 2017 Men’s World Cup; play commences in the Belgian city of Liège on Friday 20th October. A debut in 2002 in Jinan city, in Liège it will be no less than the 15th time the 36 year old has competed in the prestigious annual event; in fact since his initial appearance, last year was the only occasion when he had been absent. In Ahmedabad, no doubt calculating the possibilities, first place in his initial phase group at the 2017 ITTF-Asian Cup ahead of Korea’s Jeong Sangeun, Iran’s Noshad Alamiyan and Hong Kong’s Wong Chun Ting, realistically secured his invitation to Liège. Later he was to suffer a quarter-final defeat at the hands of Lee Sangsu, like Jeong Sangeun from Korea, before eventually securing seventh place by beating Japan’s Koki Niwa. The quarter-finals and defeat; it is very much the story of Chuang Chih-Yuan at the Men’s World Cup. Only Sweden’s Jan-Ove Waldner, Belgium’s Jean-Michel Saive and Vladimir Samsonov of Belarus have made more appearances at the annual event than Chuang Chih-Yuan. Now retired from international play, Jan-Ove Waldner and Jean-Michel Saive each competed 18 times, for Vladimir Samsonov the number is 16 in total. Fourth place in terms of appearances in the all- time order but he does lead one list. He holds the unwanted record of being the player to compete the most times without every securing a podium finish or even reaching the semi-finals. The next seven names in terms of appearances – Timo Boll, Kalinikos Kreanga, Werner Schlager, Andrzej Grubba, Johnny Huang, Kim Taeksoo, Zoran Primorac- all gained a medal of some colour; his nearest rival is the now retired New Zealander, Peter Jackson, he competed nine times without ever reaching the quarter-finals. It does seem a travesty of justice that the precious medal has proved elusive; the record of Chuang Chih-Yuan in the Men’s World Cup stands tall. On his most recent four appearances, as well as in 2006 in Paris and 2010 in Magdeburg he reached the quarter-finals and only once has he not finished amongst the top 12 names; in Moscow in 2009, nothing went right, he ended matters in fourth place in his group. Furthermore, consider the names of those he has beaten. In 2010 in Magdeburg he accounted for Zhang Jike, two years later in Liverpool he overcame the redoubtable Ma Long; success against the cream of China, the most recent Olympic Games gold medallists and World champions. Also in 2013 in Verviers, not too distant from Liège, he beat Vladimir Samsonov. The agony for Chuang Chih-Yuan is that they all occurred in the early stages not in medal deciding contests. All are wins of which any player would be duly proud but the proud moment still awaits, a place on the podium when play concludes; does that moment await in Liège?